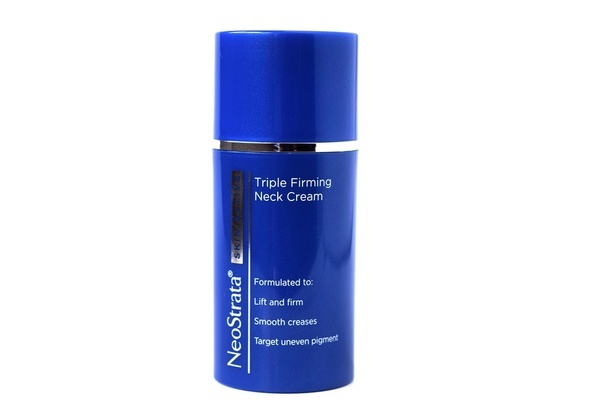 Triple Firming Neck Cream is formulated to lift and firm the skin in the neck area. It also helps to smooth creases and helps target uneven pigmentation. Let's take a peek into the active ingredients that make up this neck firming cream. 1. Pro-Amino Acid: A vital ingredient, it serves as the building block that makes up the protein and our body puts them together to create muscles. This is important because it helps to lift and to firm the decolletage. Pro-Amino Acid aids in the production of collagen and cartilage, and this contributes to give the skin its strength and structure. It also helps in the replacement of dead skin cells. 2. NeoCitrite: This is a patented ingredient by Neostrata. This ingredient helps to promote new collagen to renew the skin making it smooth, supple and younger-looking. 3. NeoGlucosamine: This is also another patented ingredient and it's amazing because it is formulated to help gently exfoliate and help reduce the appearance of uneven pigment and age spots. It also helps dimish fine lines and wrinkles. 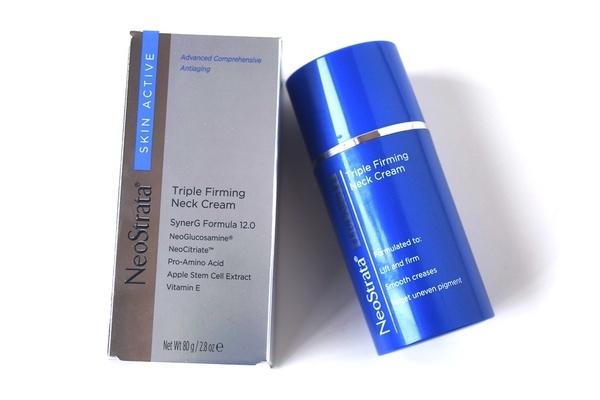 Triple Firming Neck Cream is formulated to help reverse visible signs of aging in the neck and décolletage for skin that is firmer, more lifted and younger looking. This anti aging neck cream is formulated with three clinically proven ingredients, each with a unique action to deliver optimal lifting and firming. Pro-Amino Acid helps enhance procollagen in the skin, while NeoCitriate helps promote new collagen and NeoGlucosamine enhances the surrounding support. This trio of state-of-the-art actives works together to plump, build volume and firm sagging skin. NeoGlucosamine is also a gentle exfoliant that helps reduce the appearance of uneven pigment and age spots that often appear in the décolletage. This potent cream is fortified with Apple Stem Cell Extract to help protect the longevity of skin’s essential cells, helping your skin to behave like younger skin. I am thoroughly impressed by this neck cream. The neck being one of the first parts of the body to show signs of aging, I am excited to start treating it at an early age. I love the packaging; it comes in a 2.8oz bottle with a pump. It is very easy to dispense; I do one pump, and it's enough for my whole neck. It is white in color, very thick so you know it will help to hydrate your skin. It spreads easily and absorbs quickly into the skin. It is not sticky or greasy. It has a rather distinct floral fragrance that lingers for a while, but it is pleasant, so it does not bother me. I have used this neck cream for a week and a half, and I love the results I see with my decollete, so far it looks firm, smoother and softer. I will continue to use. How I use: I use the neck cream on a cleansed skin. 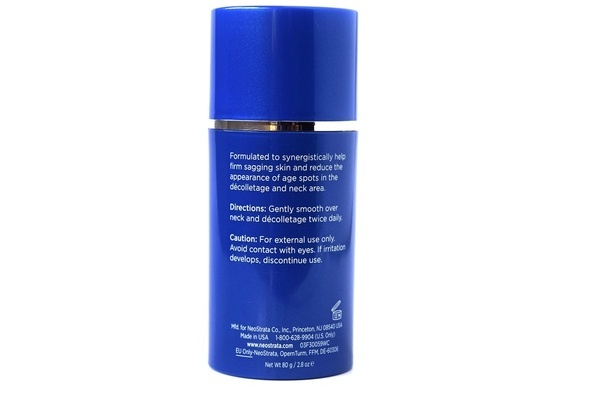 I gently smooth over neck and décolletage in the morning and at night. Using twice daily is important.